Do You Know How You Connect? NARSAD is the world’s leading charity dedicated to Mental Health Research. 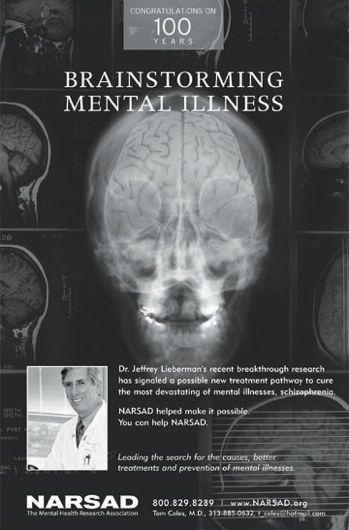 NARSAD supports scientific research to find better treatments and ultimately prevent severe mental illness. As part of The Detroit News’ “Partnership for Humanity”, a newspaper contest that partners agencies together with lesser known charities, OPTIMideas created this ad to boost awareness of their presence and mission. The ad won national recognition placing in the top three ads produced for non-profits and was also recognized at the National NARSAD convention in NYC as one of their top advertisements of the year.